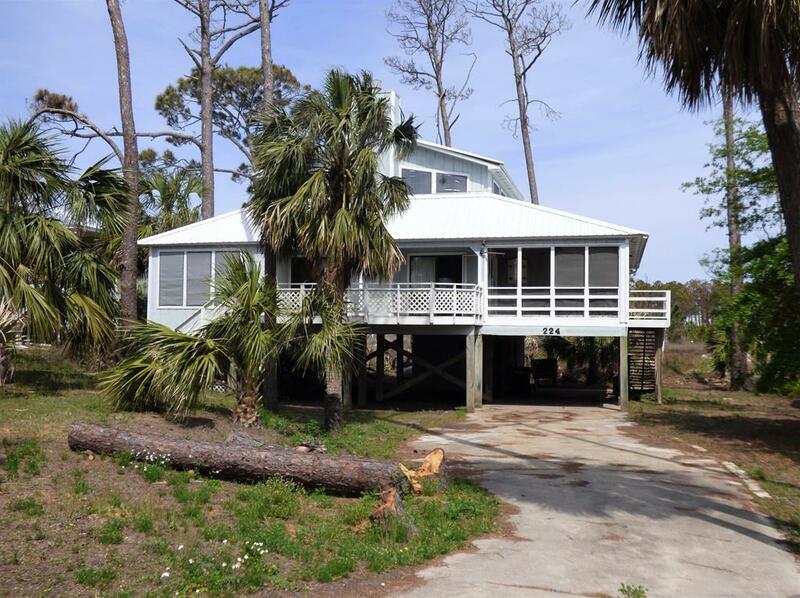 Fixer Upper – Beach Home at Cape San Blas under 300k – Will not last long. Call today if you want this one. Gulf view home with deeded beach access and community pool just a short stroll away. The home features a remodeled kitchen and a large, open layout. There is ample outdoor living space with the open deck, screened porch, and under house parking and storage. This home is priced to sell! Selling AS-IS. Ceilings need to be scraped and painted. HVAC and water heater may need to be replaced. Water line to home was broken by pine tree roots and will need to be repaired. Floors have been redone in the main living area and kitchen. With a little work this will make someone an excellent beach home or investment.